Hi guys! 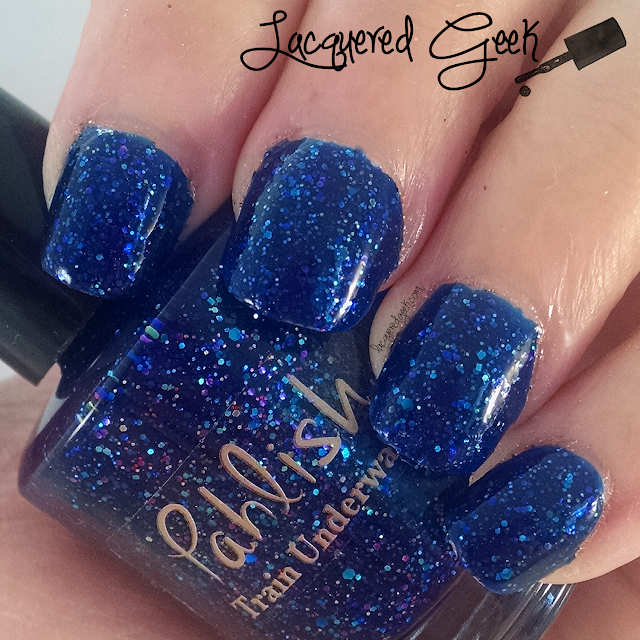 A couple of month's ago, Pahlish celebrated its 3 year anniversary, and part of the celebration, they re-released some of their earlier polishes. I was super excited about this release because I love Pahlish's polishes, and I didn't discover the brand until the first part of 2014 (so I missed out on so many pretties!!) One of the polishes that I picked up was "Train Underwater." Train Underwater is a deep blue jelly with pink, purple, blue, and green glitters of various sizes. The first coat goes on pretty sheer, and I was expecting to need at least three coats, but the second coat was all I needed to bring it to opacity. 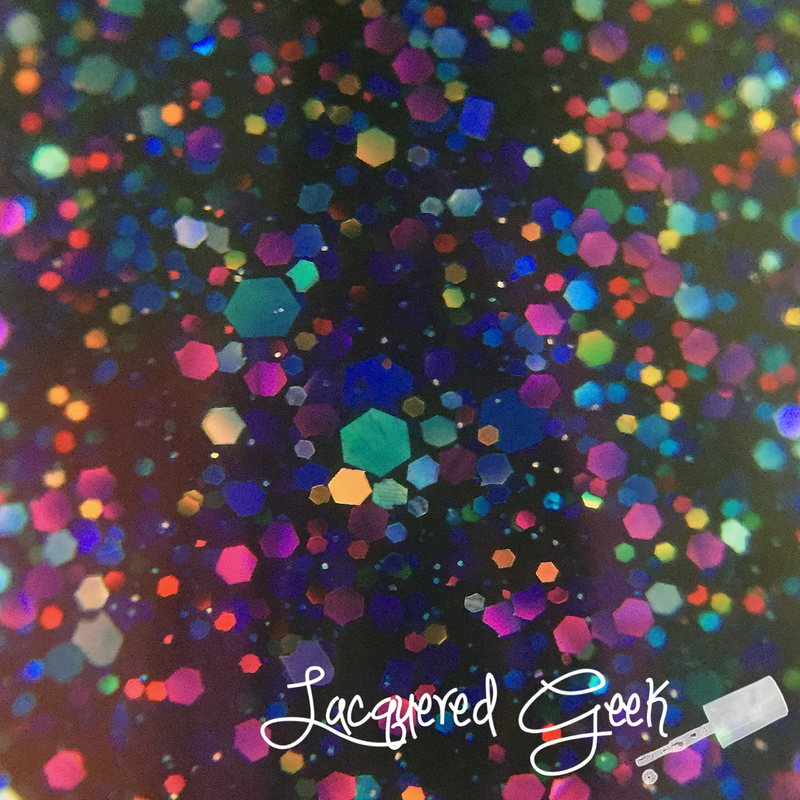 I just love glittery jelly polishes - they have such amazing depth, and are so squishy! Due to the amount of glitter, Train Underwater does dry to a textured and slightly matte finish. A good thick topcoat will smooth everything out! I am so glad that I was able to pick up this beauty! Pahlish is one of my favorite brands, and I have not been disappointed yet with my polish purchases! 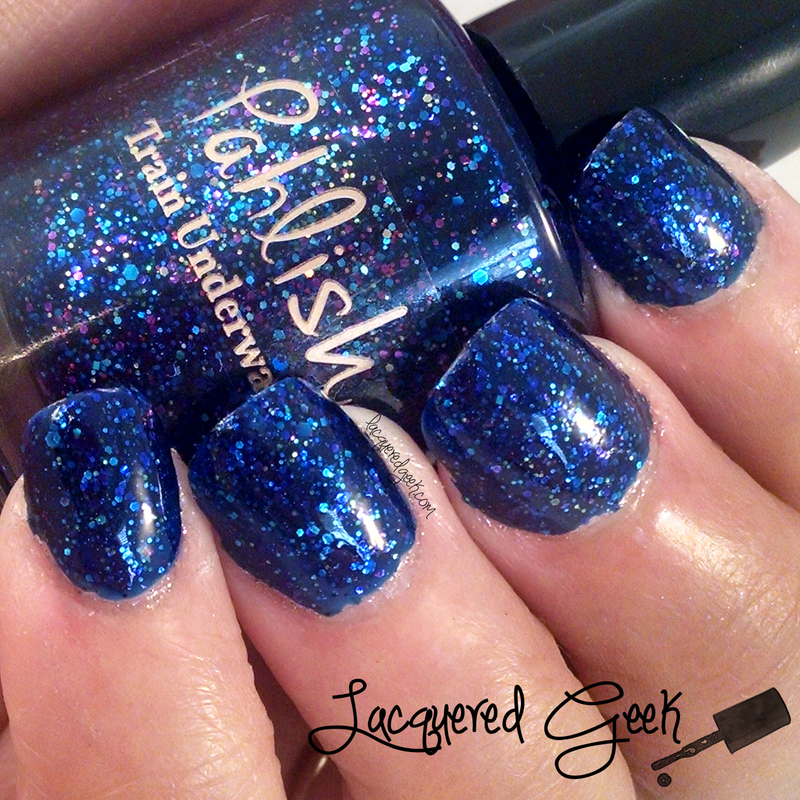 Do you have a favorite Pahlish polish? Oh wow, those glitters. I can't resist any Pahlish. I'm so glad she released a few of the older polishes this weekend (I snatched up a bunch)! She does some of the best glitter polishes! I can't pick a favorite Pahlish- there are far too many lovely shades to choose from! I'm glad she rereleased old favorites so you could pick this up! I love this shade, and I'm convinced everyone needs a bottle! I agree! All of her polishes are gorgeous! This is gorgeous, all the glitters in it are so pretty. Oh my all dat glitter!! Super pretty blue! I love the depth of this polish! I know! I reminds me of the ocean! This was my first Pahlish ever! It looks lovely on you! Such a great great color! I have this one too, I love her older collections. They are so fun. That blue is gorgeous on you! Love Pahlish. I only have 4 and I need more!!! So much fun! Squishy blues are the best! Beautiful blue jelly! I am falling in love with Pahlish polishes, I really need to add a few more to my collection. I have yet to try out Pahlish for myself but I'm always reading so many positive things about their polishes. This one is a definite beauty!